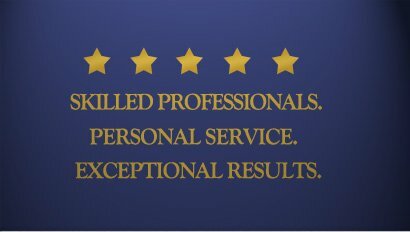 Our attorneys have been serving clients since 1987 in the greater Phoenix area. We offer top-quality legal work without the bureaucracy and higher costs of larger law firms. All our attorneys have worked at large law firms in Arizona. Now, in a smaller environment, we offer a more personal and responsive approach for each of our client’s needs. Intro to Gunderson, Denton & Peterson, P.C. Each lawyer and staff member at Gunderson, Denton & Peterson, P.C. is dedicated to providing you with the best possible service. Our Arizona business attorneys handle the creation of business entities, business asset planning, corporate compliance issues, tax planning and international tax planning as well as other business legal services. We have a Mesa Arizona Business Attorney for everything from franchising your business, to business litigation, contract law and business dissolution procedures. Investors often need to solve various immigration issues when establishing assets in the US. Our Mesa Arizona Investor immigration attorneys can help with EB-5 visas and other immigration solutions for investors and entrepreneurs from abroad. We also help when employers need employees to fill specialized labor positions, and want to bring these workers here from abroad. The business immigration attorneys at Gunderson Denton can help you to resolve your immigration and naturalization issues, helping with things such as work permits and work visas. Mesa Arizona estate planning lawyers at GDP can help you with planning your estates as well as asset protection and inheritance planning. A Mesa AZ estate Attorney is able to plan for your wealth to be managed and protected, and can shelter your assets in the case of catastrophe. Arizona Lawyers for planning also assist with trusts, guardianships, conservatorships, living wills and other legal asset planning steps. GDP has lawyers who can help set up wills and living will. Our Mesa Arizona attorneys for wills are professionals in creating documents that will guarantee your final wishes be executed as you intended, with no deviance after the fact. Be prepared for any disaster by establishing power of attorney for your loved ones. Make sure your interests are protected while you are incapacitated with an Arizona Lawyer for Power of Attorney or Healthcare power of attorney. 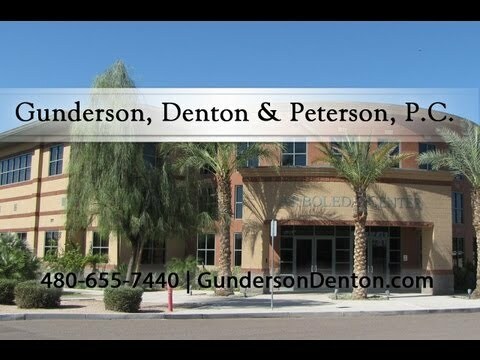 Mesa Arizona Employment Attorneys at Gunderson Denton can help with any employers legal compliance and employee immigration issues, as well as help with establishing employment procedures for clients businesses and providing legal counsel. We can even mediate in employee employer lawsuits, and handle employment litigation. For an experienced Mesa Arizona Employment lawyer, contact Gunderson Denton today! Lawyers for guardianships at Gunderson Denton And Peterson can help with setting up and establishing a guardianship or conservatorship. A Mesa Arizona Real Estate Attorney who can help relieve encumbrances, clear titles and deeds, settle real estate lawsuits, negotiate contracts and easements, and more. Make sure your residential or commercial real estate deal is not in violation of Arizona real estate law by hiring a Mesa Arizona real estate lawyer.